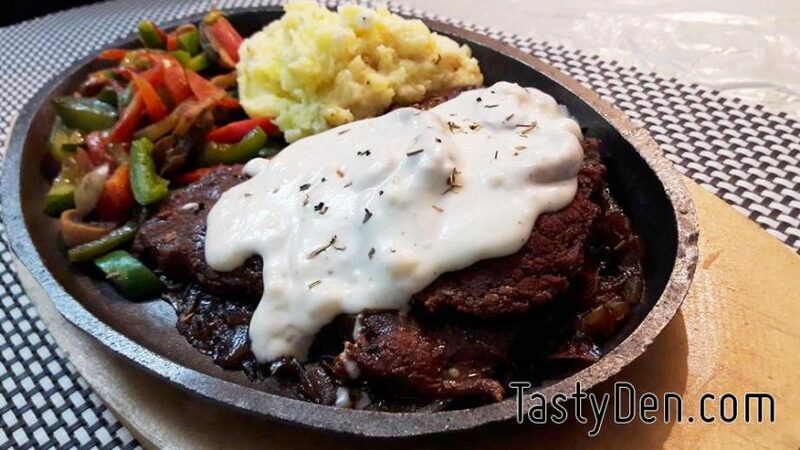 Beef steaks are very famous in western culture, this recipe serve steak with mushroom sauce. Americans don’t have any concept of chicken steaks so when they say steak it means its beef. 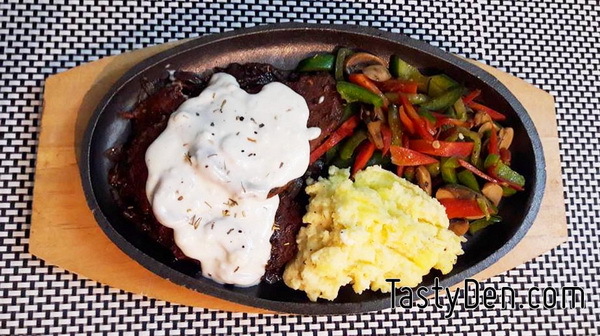 This beef steak tastes really good with mashed potatoes and sauteed vegetables though you can serve it with fries or any vegetable of your choice. Flatten the beef steaks with a mallet (hammer) without damaging them. 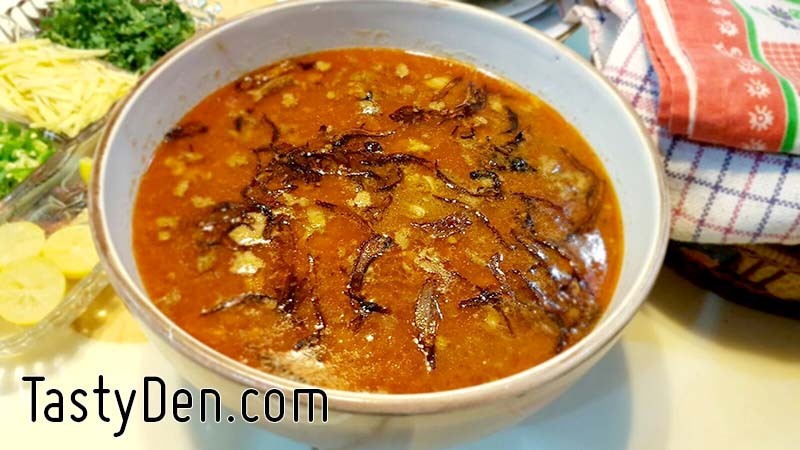 Marinate beef with all the mentioned ingredients except oil and refrigerate it overnight. Heat oil in the nonstick grill pan and cook beef steaks in it. Cover it first while frying for a while it will release juices then grill it in those juices to keep it soft and juicy. 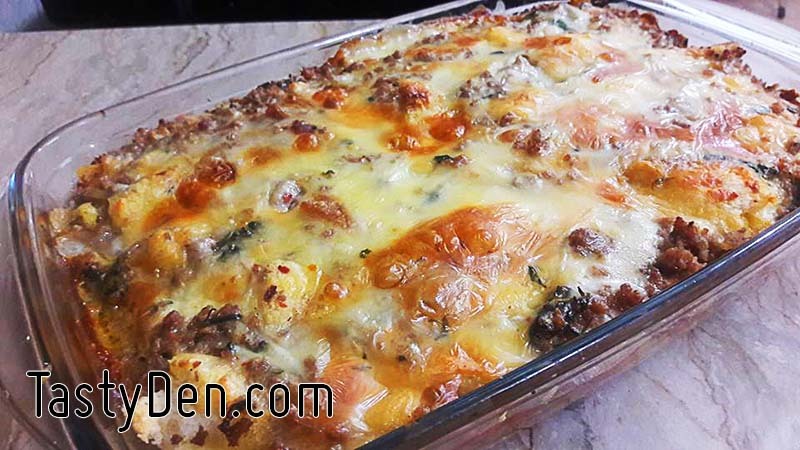 Cook it for 8-10 minutes until it is ready. Over cooking will dry them out so be very careful with the time. Heat butter in a pan. Add flour and bhoonofy it with a whisk till a nice smell starts coming and it changes its color a little. Take it off the flame now and add half of the milk. Whisk it continuously while pouring the milk to avoid lumps till it looks very smooth. Over the stove again and add the remaining milk along with chicken cube and pepper. I don’t add salt when I add chicken cube as the cube is already salty, but you can taste and if you feel the need you can add a pinch of salt too. 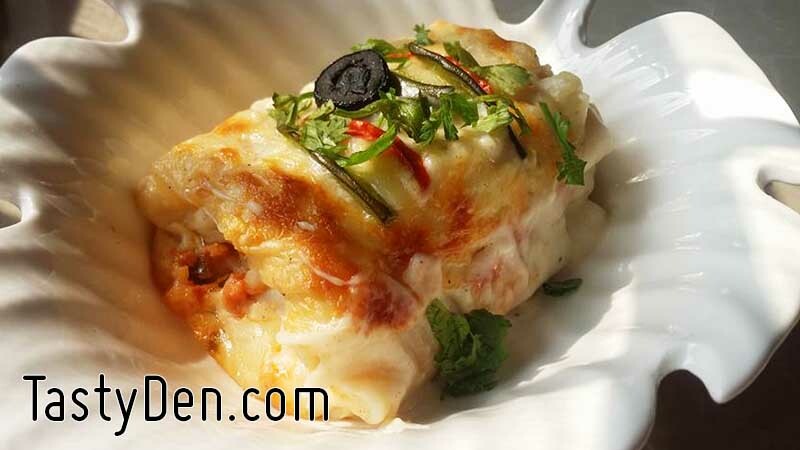 Cook it for a minute and then add cheddar and mozzarella cheese along with sliced mushrooms and dried mixed herbs. Cook till its consistency is not very thick nor very thin and smooth. If it gets thick and hard you can add more milk in it.